This is a complimentary service, get even lower prices when you make a group booking through Bali For Two. Thank you! Our wedding team will get back to you as soon as possible. Bringing eloquence and flair to exotic weddings at Alila Villas Uluwatu, set in a tropical landscape, amidst sprawling lawns and the beguiling romance of the vast Indian Ocean - a mesmerizing backdrop for couples who are looking for a truly fresh and inspiring island setting to mark their marriage, renewal of wedding vows or commitment. Allow us to arrange the perfect setting for your intimate wedding, customized specifically to mark a new beginning in your lives. 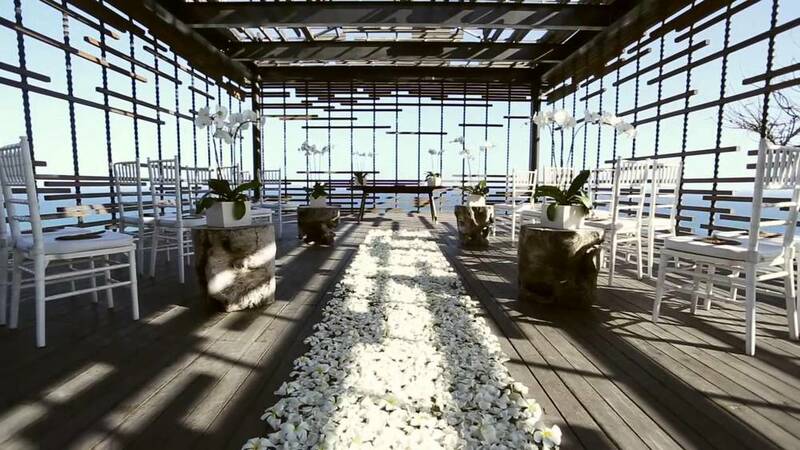 For a truly fresh and inspiring wedding venue, the luxury all pool villa resort of Alila Villas Uluwatu in Bali ticks all the right boxes with its jaw-dropping gorgeous clifftop setting and contemporary Balinese-inspired design. Located on Bali’s southern coastline, just 30 minutes from Ngurah Rai International Airport, Alila Villas Uluwatu brings eloquence and flair to an exotic island wedding, set in a tropical landscape amid sprawling lawns and shimmering Indian Ocean backdrop. Applicable for the exclusive use of the resort for 2 x 24 hours. This package is considered mandatory should your guests exceed 120 people up to a maximum of 400 people. 50 units of One-bedroom Pool Villa, each for two nights’ stay, for approximately 100 people inclusive of breakfast, daily refreshment, morning yoga session and Host service. Spa Alila experience for family and friends up to 20 treatments during your stay. Menu is available upon request. A minimum spend of Food and Beverages at IDR 300,000,000 nett will be required and must be purchased from Alila Villas Uluwatu during the buy out period. The closure of the resort areas to accommodate your event. Contribution fee to the local community to ensure exclusivity . Electricity provided up to a total of 10,000 watts. Note: wedding decoration, certificates, engagement of celebrant/MC, sound system, food and beverages are not included for exclusive resort buy-out. Customised menu’s and cost are available upon request. Entrance fee for additional crews, decoration, and entertainment might apply. Corkage fee for wedding cake and alcohol might apply. We don't charge coordinating fee for a ceremony as long as you book through us, however you may hire our wedding planning services if you're also having a wedding reception. 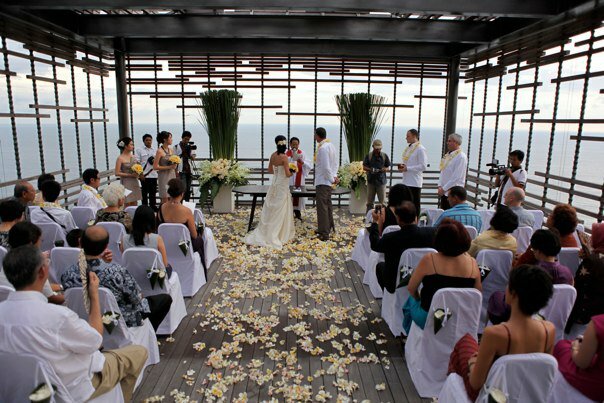 Our full wedding planning services fee starts from as low as USD 1,300 net with additional crews inclusive. We guarantee the best rates for this package. If you find a similar package with lower price, we will beat it and get a complimentary bottle of champagne from us. We guarantee the best rates for your stay at this resort. We will beat any lower prices. Price is net with tax inclusions. Price is to be paid in Indonesian Rupiah (IDR) using our bookkeeping rate USD 1 = IDR 13,500. Price is subject to change without prior notice before booking is confirmed. Down payment of 50% is required for booking confirmation. A surcharge of 3% is applicable if payment is to be made with credit or debit card. Payment should be settled within 7 days after invoice is issued. Payment must be free of any bank charges. Full payment should be settled 30 days prior to event date. 50% charge of total amount is applicable if cancellation is made after deposit is paid. 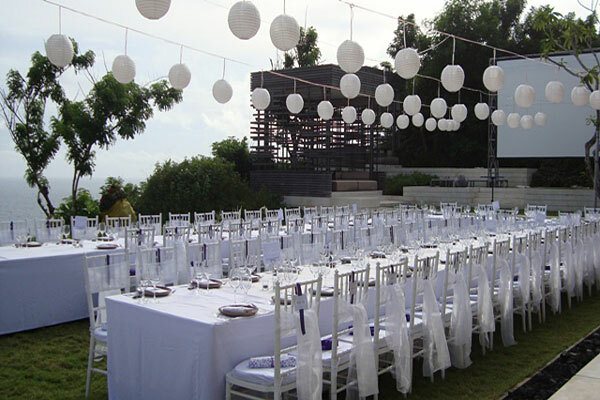 100% charge of total amount is applicable if cancellation is made within 30 days to wedding date.